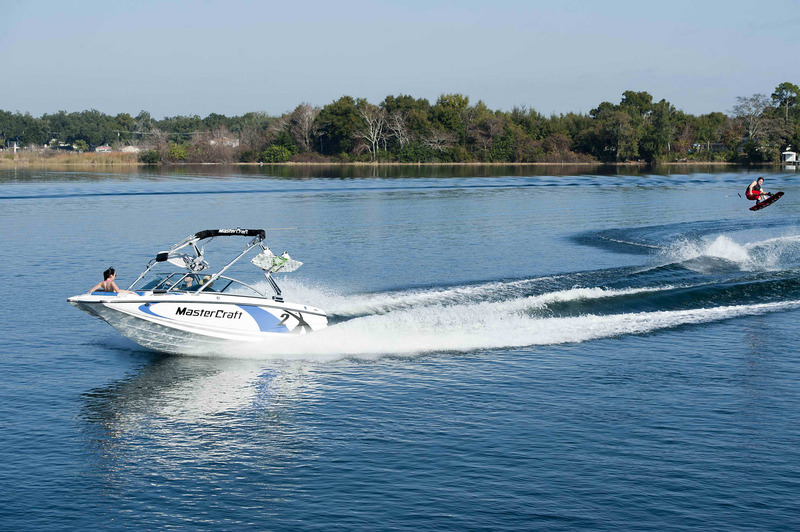 Information on Lake New Melones in California and all the watercraft rentals we offer. Escape to California's Central Sierra Gold Country. Magnificent scenery, miles of secluded shoreline, fantastic boating and fishing, and clean, clear water make New Melones Lake the perfect place for a day trip or extended family boating vacation year 'round! Lake New Melones large reservoir offers a multitude of recreational opportunities - ski boat rentals, swimming, fishing, water skiing lessons, lake tours and charters, shoreline camping, and of course houseboat rentals. Invert Sports offers water sport vacation packages at Lake new Melones. The New Melones Project was authorized in 1944 to create a much larger reservoir and to establish a new hydroelectric plant. It would also be specifically designed to prevent floods for neighboring communities. It was a controversial issue. The dam's opponents argued that its presence would inundate the river valley, eliminate the natural whitewater rapids, flood many of the massive unique limestone cave formations characteristic of the area, and destroy archaeological resources found along the river. The consensus after the surveys was that the dam would be built. Upon the dam's completion, the valley filled with water, covering the old mining town of Melones and the original Melones Dam.